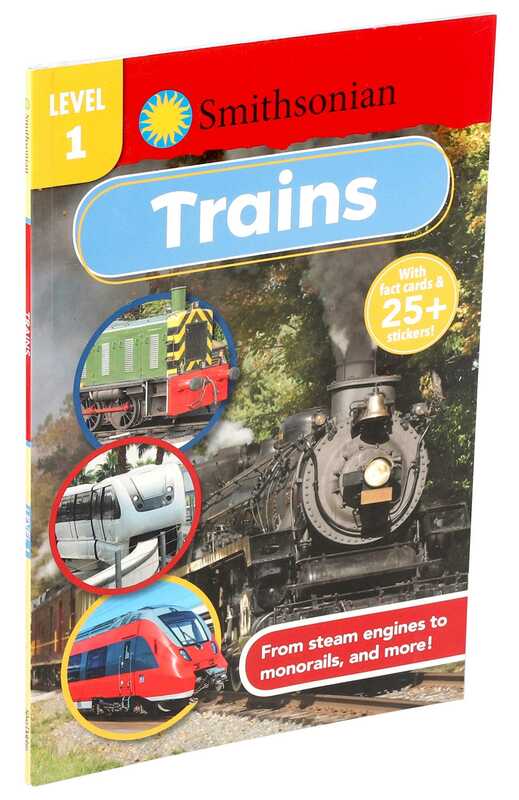 Developed in partnership with the Smithsonian and esteemed literary childhood literacy expert Dr. Adria Klein, Smithsonian Readers: Trains Level 1 is designed to encourage reading comprehension while covering the invention of trains, history of trains, and modern-day trains. From steam engines to monorails, children will learn about the many functions of trains while building reading skills with the carefully designed leveling structure. After reading this introduction to nonfiction, children can use the included quiz to reinforce reading comprehension. Also includes 28 stickers.